Good things come in small packages. 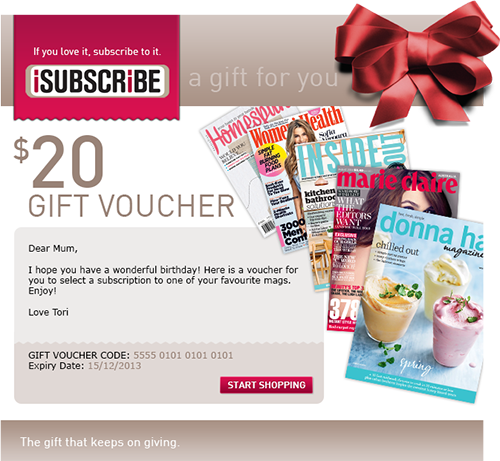 Select the value of your gift card and it will arrive in a sleek wallet with your personalised message. 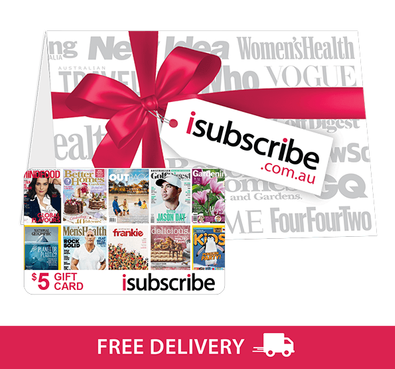 The recipient will be able to redeem their gift card on any magazine or newspaper subscription on the isubscribe site with over 4000 print, digital & subscription box to choose from! 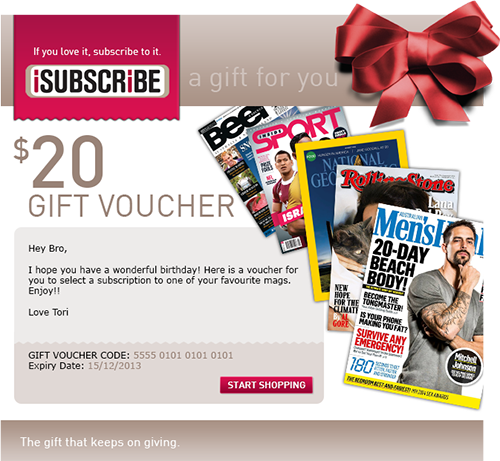 The isubscribe Gift Card & Wallet are delivered FREE and are only delivered to addresses within Australia. 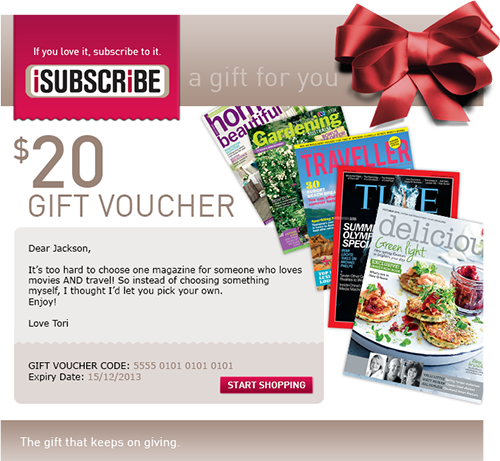 Very happy that you can now buy gift cards like this one - and get free delivery. The card came in a nice black cardboard envelope.